Can you imagine a perfume which contains raw materials that are more expensive than gold bullion? 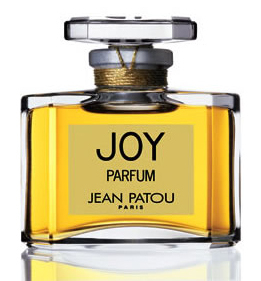 Joy, created by Jean Patou in 1929, contains 10,000 blossoms of jasmin de Grasse (which costs double the price of gold bullion), 336 blossoms of Rose de Mai and a whisper of civet in every 30 ml bottle. No wonder, it was once billed as “the costliest perfume in the world” – the perfect antidote to the economic depression of the 1930s. 80 years down the line, it still feels fresh and uplifting – sans any of the retro aura that often defines vintage perfumes. Want to feel pampered? This is definitely your scent!